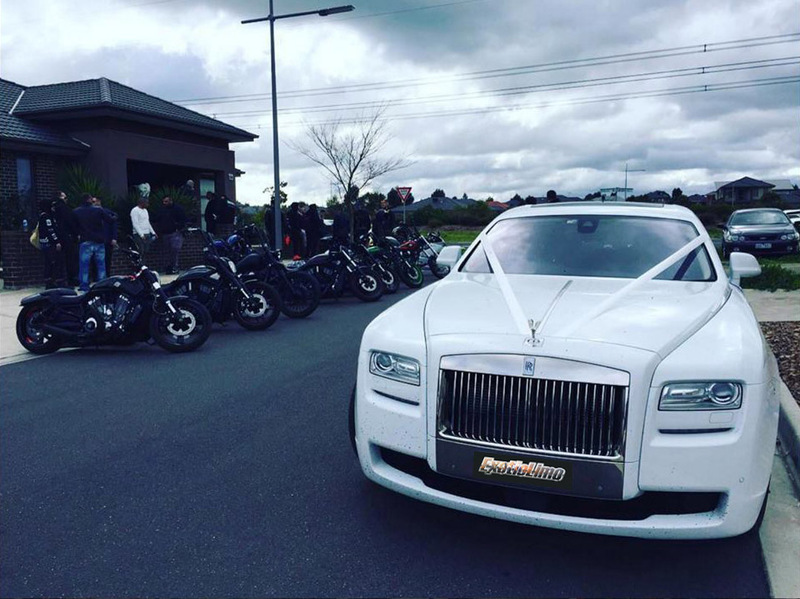 Exotic Limo have added the crowning jewel to our prestige fleet with this stunning 2014 model WHITE Rolls Royce Ghost luxury sedan. Resplendent in its lavishness, and unequaled in class, this wondrous vehicle propels its passengers to elevations previously unchartered in the luxury car market. 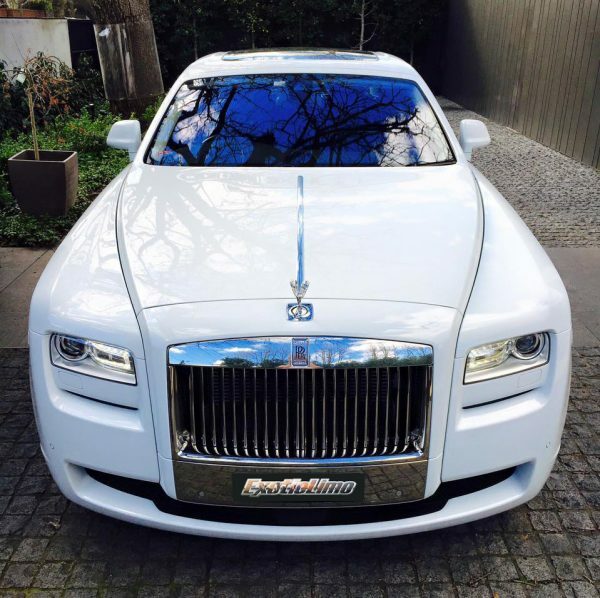 This particular White Ghost by Rolls Royce is now available for hire in Melbourne. 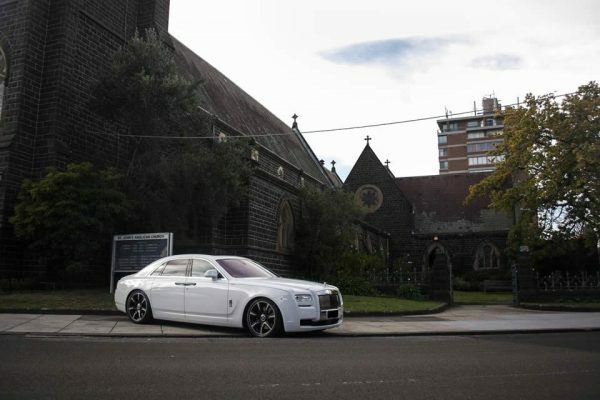 With the amalgamation of both classic and modern styling magnanimously on show in the appearance of this iconic motor vehicle, the best of Rolls Royce – the past, the present, and the future – is represented flawlessly. 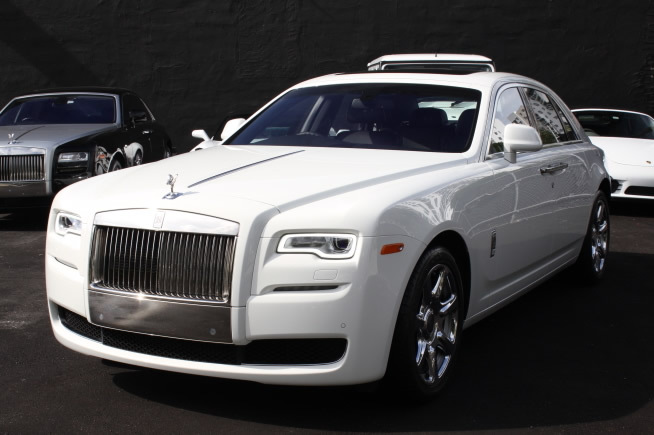 The Ghost offers a compelling, luxurious package of features and capabilities to its bedazzled fans. This princely automotive creation is tastefully ostentatious, indulging the desires of those with elite societal notions in mind. 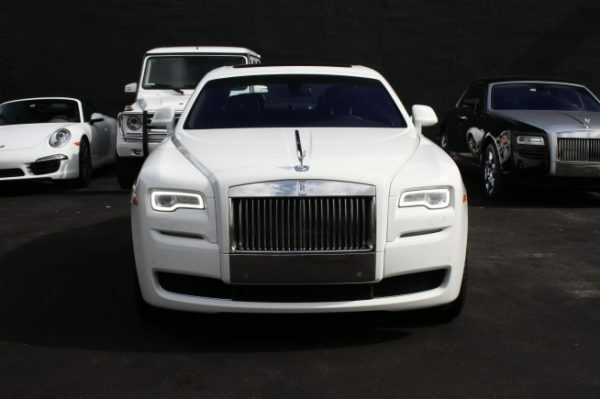 With its unparalleled levels of quality, elegant style and convenience, the 2014 model Rolls Royce Ghost is not simply just a car, it’s a symbol of modern day opulence and success. With its cloud-like seating, luxury leather trim, real wood interior and cutting edge technology, you are guaranteed a once in a lifetime experience to never forget. With space-age suspension technologies offering passengers an especially comfortable ride around town, passenger have a world of digital options at their fingertips to ensure the modern world is accessible in any way you require. 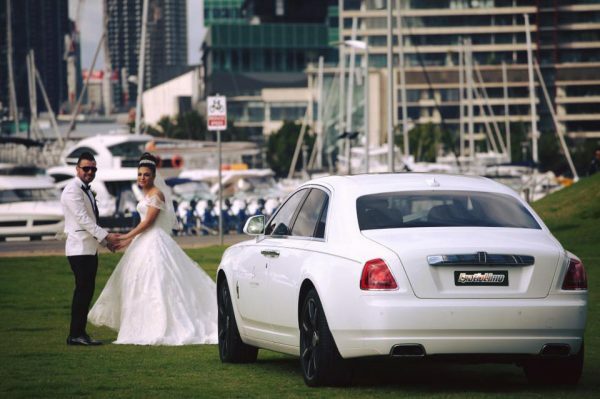 The White Rolls Royce Ghost will turn every head on your special occasion, and the photos you can capture alongside this iconic vehicle will be a lifetime keepsake to treasure. Exotic Limo Melbourne highly recommended that you make your booking well in advance in order to secure our White Rolls Royce Ghost sedan for your wedding due to the high level of demand for its services. 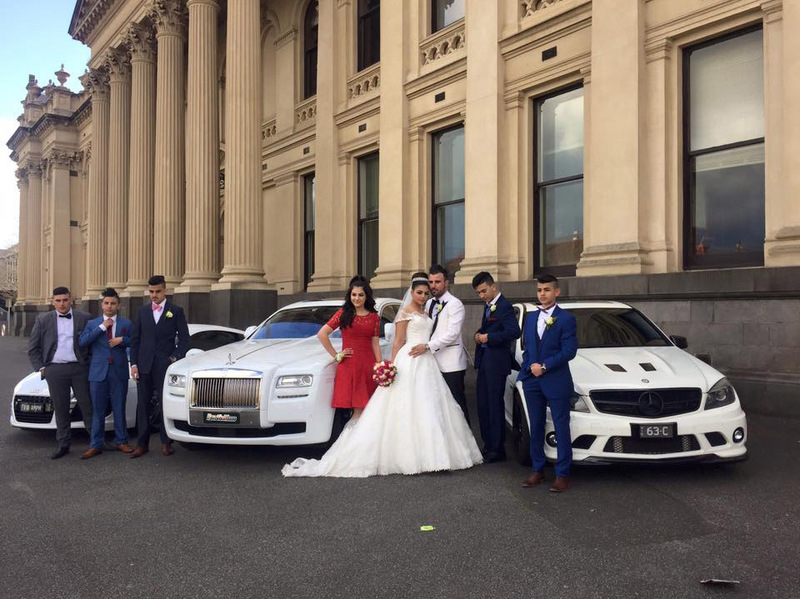 Call 1300 532 532 TODAY or CLICK HERE to get an immediate quote online.